To order any of the books listed below, simply click on the book cover image in the left column. Michael Fullan and associates have again hit it out of the park! Deep Learning has claimed the attention of educators and policymakers around the world. 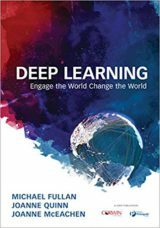 This book not only defines what deep learning is, but takes up the question of how to mobilize complex, whole-system change and transform learning for all students. It calls for the transformation of teachers into activators who design experiences that build global competencies using real-life problem solving. This comprehensive strategy incorporates practical tools and processes to engage students, educators, and families in new partnerships and drive deep learning. Each component is discussed in terms of its purpose, premise, processes, practices, and payoffs. Revealing examples based on the authors' experiences in classrooms across the country show what evaluation, supervision, and reflection look like when they're not done well—and what they could look like if done more effectively. 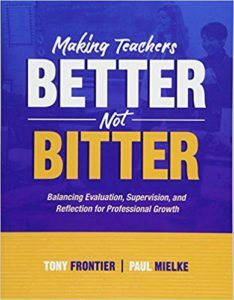 Providing insight and inspiration, Making Teachers Better, Not Bitter paves a clear path to better teaching and helps you acknowledge and support the hard work that teachers do every day to make learning come alive for their students. "Change the culture," "Culture beats strategy every time. ": Two new buzz phrases increasingly heard when the task is organizational effectiveness. 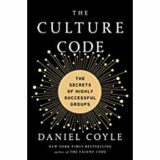 In this very readable book Dan Coyle goes inside some of the world's most successful organizations to see what a culture of organizational success is. He has identified three key skills that generate cohesion and cooperation and explains how diverse groups learn to function with a single mind. Drawing on leading-edge science, on-the -job insights from world-class leaders and practical ideas for action, The Culture Code offers a road map for creating an environment where innovations flourishes, problems got solved and expectations are exceeded. When the issue of inquiry instruction comes up two questions over shadow the conversation: Where do I find the time and what are some simple ways I can try with my kids? The Curious Classroom answers these questions. It shares a ladder of 10 inquiry structures and 34 inspiring models. Begin with briefly modeling your own curiosity or start on a higher rung as you gradually move toward units driven by kids' own questions. This is the most fun I have ever had in my teaching life." Based on Carol Dweck’s work at Sanford University on fixed and growth mindset theory, Mindsets in the Classroom provides educators with ideas for ways to build a growth mindset school culture, where in students are challenged to charge their thinking about their abilities and potential. Included are planning templates and a sample professional development plan and ideas for communicating the mindset concept to parents. This book provides a concise introduction to and overview of the growing discipline and practice of Appreciative Inquiry (AI). This strength-based approach to cooperative capacity building starts with the very first question--an unconditional positive question-- that moves the organization into the direction of its questions. Included are three case studies including a successful US Navy case .If AI can work in the command and control oriented military, it an work anywhere. If you are intrigued by the prospect of mobilizing rapid, positive change with multiple stakeholders in a human system that is important to you, this book is for you. Building on best practices and lessons learned, Distributed Leadership in Schools shows educators how to design and implement distributed leadership to effectively address challenges in their schools. Grounded in case studies and full of practical tools, this book lays out a framework for building strategic, collaborative, and instructionally-focused teams. Supported by voices of practitioners and based upon original research, this comprehensive resource shares concrete strategies, tips, and tools for creating teams that are skilled at using data to plan and monitor their work, and successful in facilitating change to improve student learning. This innovative method will aid leader development and facilitate reflection, and will reshape leadership practice in a way that benefits teachers, leaders, schools, and students. Here is a real hands-on, in the trenches helper for teachers wanting to apply Carol Dweck’s theoretical work on fixed and growth mindsets. The authors share more strategies, tips; ideas and research that will help teachers understand mindset and how it can contribute to positive outcomes for students. Most of us have worked for a supervisor or boss whose conversation was full of requests and demands more than inquisitiveness. Somehow too many leaders have concluded that asking questions is a sign of weakness, an indication that he/ she is not in control or knowledgeable. Michael Marquardt bashes this notion and provides leaders with a wealth of insights in how to energize their organizations by purposeful inquiry and powerful listening. As he writes, “Questions can elicit information, of course, but they can do much more. Astute leaders use questions to encourage full of participation and teamwork, to spur innovation and outside-the-box thinking, to empower others, to build relationships with customers, to solve problems and more.” Indeed they can and such a mind-set goes to the heart of being a transformational leader. We highly recommend Marquardt’s treasure of a book. Her book presents a “multidimensional construct” addressing behavior, emotional and cognitive aspects of the solution and she argues that there is no quick fix but rather all three dimensions of disengagement must be addressed. She has provided practical ways to implement practices to increase student engagement. Transformational leadership demands risk-taking that inevitably includes failure, setbacks, discomfort, and hurt. Rising Strong by Brown, the Ted Talk phenomenon and author of Daring Greatly, offers thoughtful strategies to deal productively with these inevitabilities. Falling down, sometimes face first with skinned knees and mud on one’s face is the chief metaphor of Brown’s inspiring book. She writes, “The truth is that falling hurts. The dare is to keep being BRAVE and to feel your way back up.” Brown’s purpose in writing this book is “to slow down the falling and rising process: to bring into our awareness all the choices that unfurl in front of us during those moments of discomfort and hurt, and to explore the consequences of those choices.” Through specific precepts and inspiring stories of “rising strong,” Brown offers us the insights and courage to take the risk, overcome fear of failure, and consequently engage in the behavior required of a transformational leader. As the authors write in their welcome, “This book is intended for people who seek more effective and satisfying ways of working with other people. It is for people who are working to make their communities, neighborhoods, and organizations more inclusive, effective, and wise.” Transformational leaders certainly fall into this group. Indeed, one of the major roles of transformational leadership is to capture the power of a school’s collective expertise and wisdom. We have all been warned against “group think” what the authors call the “trap of folly.” While praising the power of collective wisdom, the book firmly warns against “collective folly,” the consequence of two related yet opposing group dynamics: group polarization and group false agreement. This book is inspirational in showing how transformational leaders can better capture the power of collective wisdom while avoiding the folly of the collective trap. Tony Wagner is no stranger to educators seeking solutions to current educational issues. Those who have read How Schools Change, Making the Grade,or Change Leadership know he is both a critic of most of what passes for educational reform and a clear voice for what we should be doing. Creating Innovators is not so much another book about K-12 reform as it is a call for the nurturing of innovators in our k-12 schools, colleges, and in the workplace. After making the case for the need of innovation, he notes the most essential qualities of successful innovators include: 1) Curiosity, which is a habit of asking good questions and a desire to understand more deeply, 2) Collaboration, which begins with listening to and learning from others who have perspectives and expertise that are very different from your own, 3) associative and integrative thinking , and 4) a bias toward action and experimentation. He provides a clear answer for school leaders to the question “transformation into what?” Like many of us Wagner is “…frankly appalled at the idea “…that the best measure of teacher’ effectiveness is student performance on standardized, multi-choice test.” He asserts that most school administrators have “…no idea what kind of instruction is required to produce students who can think critically and creatively, communicate effectively, and collaborate versus merely score well on a test.” For school leaders questioning the current focus on test achievement, Wagner offers a compelling alternative. This is a great read. This is a must-read for those seeking to understand how we arrived at the present state of educational reform in this country. The book offers a detailed historical and political analysis of America’s checkered attempts to reform its schools. For those familiar with Raymond Callahan’s Education and the Cult of Efficiency, published in the early 1960s, this is a much needed update on reformers’ quests to reform schools through scientific management. Mehta’s final chapters offer recommendations to implement practices based on valuing human knowledge and skill over technical order in our educational systems. The Newark story so graphically depicted by Russakoff is one of unexamined ideology mixed with hubris that left the students, teachers and parents of that city with little of educational substance. Read these two books as lessons in what not to do in one’s efforts to transform our neediest school systems. Effective communications is a leadership imperative. Effective story telling is communication’s first mate. Annette Simmons in this revised and updated edition showcases hundreds of examples of effective storytelling. She illustrates how story can be used to persuade, inspire and motivate in ways the cold facts, bullet points and directives can’t. Effective leaders are learners and teachers. 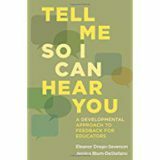 Coaching one’s staff to higher levels of understanding and performance is critical in the “learning organization.” Elena Aguilar offers a comprehensive research and practice guide on how to create a coaching vision, build trust, listen well, ask powerful questions and develop a work plan. She highlights common challenges followed by creative solutions and includes many practical tools: rubrics, cheat sheets, and coaching sentence stems. Just why are narrative and storytelling so central to being human? Jonathan Gottschall offers a unified theory of storytelling. He argues that stories help us navigate life’s complex social problems. He draws on the latest research in neuroscience, psychology and evolutionary biology to tell us what it means to be a storytelling animal and makes the case how stories can change the world for the better. “The world is changing, and our schools are not keeping up” is the opening line of this powerful prescription to transform our secondary schools. The authors draw on the example of the nationally recognized Envision Education schools and other leading schools around the country to demonstrate how deeper learning can prepare students for college and career by engaging them in their own education. Throughout the book, the authors explain how project-based learning can blend with Common Core-aligned performance assessments to create an environment that encourages deeper learning. Not just theory but included are examples of how schools have made the transitions from teacher-centered learning to project-based deeper learning. Taking Charge: Leading with Passion and Purpose in the Principalship is one of the top books I have ever read on the principal’s role in transforming a school. Shaw is a great writer and knows the principalship from the inside out. He draws from his own experience and the experiences of the many principals he has mentored. My students in The Principal’s Role course at St. Louis University unanimously praised the book as the best leadership text they had read. Filled with specific suggestions, Shaw weaves a clear theory of transformation throughout the work. Is guaranteed to get you fired up if you are facing the January blahs.